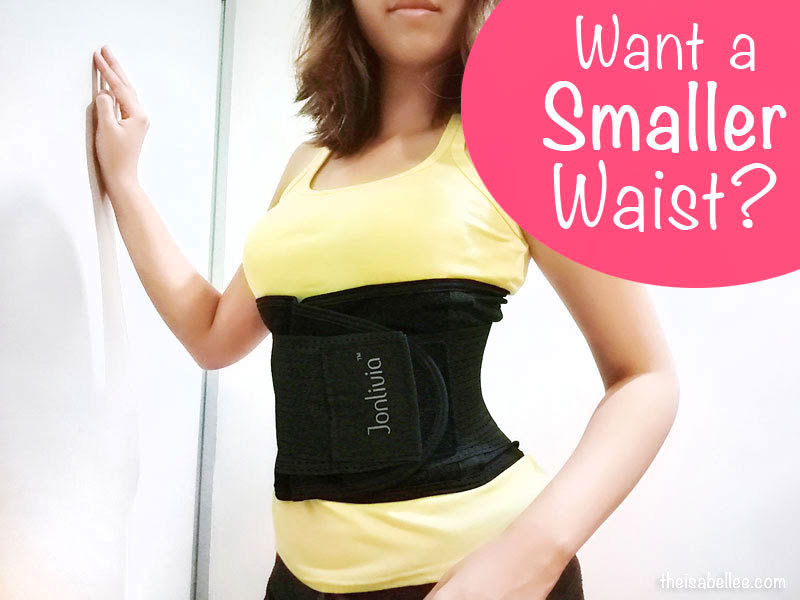 Isabel Lee | Malaysian Beauty & Lifestyle Blogger: [Fitness] Jonlivia Waist Trimming Belt Review - Get a Smaller Waist! [Fitness] Jonlivia Waist Trimming Belt Review - Get a Smaller Waist! Gotta admit, I'm a little obsessed with getting a smaller waist. It's not just about becoming thinner but getting a curvier body. I was immediately attracted by the Jonlivia Waist Trimming Belt when I saw it on their website. The effects can be seen immediately - a smaller waist and more defined figure. You're encouraged to wear this twice a day for 1-2 hours each to train your waist to become smaller. See how much smaller it's making my waist look?! How to Wear the Jonlivia Waist Trimming Belt? Make sure the belt is aligned properly by making sure the backbones are even on both sides. Wrap the larger piece around your waist comfortably. Grab the smaller pieces and stretch them as much as you want then secure on the front. Like the Jonlivia Hotpants, the quality is superb! It's also discreet enough to wear it under your daily clothes but I normally just wear this at home. This Waist Trimming Belt works using large pieces of velcro. It's easy to adjust it based on your preferences, comfort and size. At the start you may find it uncomfortable so start loose and for shorter periods of time. When you're used to it, you can go tighter and longer. It doesn't come undone easily as the velcro is very strong. I love how stretchable it is as I can feel it pulling my waist smaller. The backbone maintains the shape of the belt and supports your back. I find that it also discourages me from hunching so much. Somehow with the backbone, you automatically adopt a straighter posture.